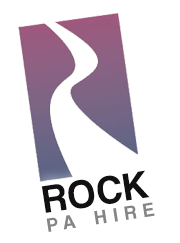 With over 20 years experience in the entertainments industry, you can rest assured Rock PA Hire have the skills and know-how to supply a wide range of products and services. With 1k - 50k systems, we can cater for events of any size, ranging from small acoustic duos to large rock events. Rock PA Hire provide both FOH and monitoring systems manufactured by world leading speaker manufacturer Nexo. Rock PA Hire can also supply equipment by any other manufacturer should it be required. For a quote or further information simply email or call direct.